The European People's Party (EPP) have just voted to suspend Fidesz , the Hungarian party of Prime Minister Viktor Orbán , from their pan-European party. 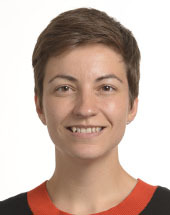 Ska Keller , Greens/EFA President and leading candidate of the European Greens for the European elections comments: “EPP members have shied away from any clear decision. He says the executive “plays no role” in appointments to the ECB and that it is limited in the case of the European Banking Authority. However, some MEPs have condemned him, with Ska Keller, leader of the Greens/EFA group, commenting, "Jean-Claude Juncker makes it too easy for himself and withdraws to having done everything by the book. Greens group leading candidates for the European election German Member of the European Parliament (MEP) Ska Keller (L) and Dutch, MEP, Bas Eickhout launch the campaign for the European elections during a news conference in Brussels, Belgium, 06 March 2019. European Union parliamentary elections starts on 23 May 2019. Ska Keller, a German Member of the European Parliament and the Greens candidate to replace Jean-Claude Juncker once he steps down as European Commission president, warned against falling into the trap of the far-right in the run-up to looming elections, saying such groups on the extreme end of the political spectrum serve only to polarize society.